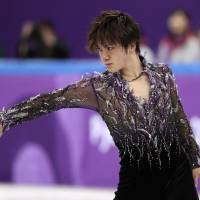 PYEONGCHANG, SOUTH KOREA - Japan is in third place at the halfway point of the first round of the figure skating team event on Friday with 13 points, behind Canada (17) and the United States (14). 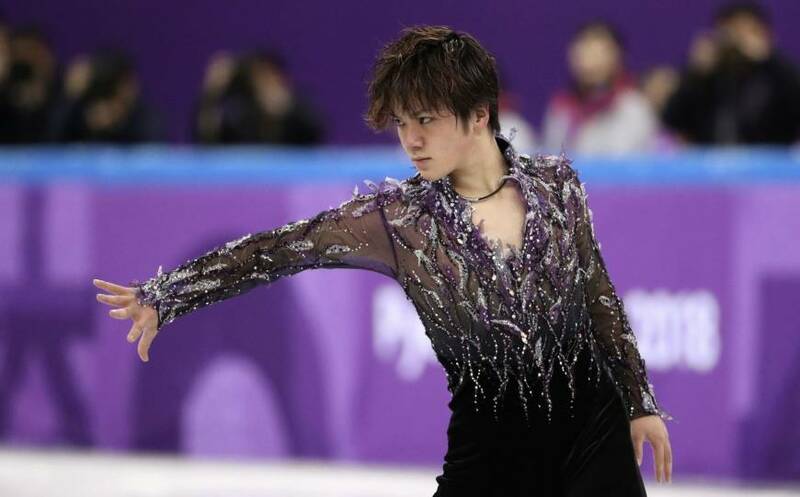 Japan grabbed the early lead following the men’s short program in the morning with a stellar effort from Shoma Uno, who finished first and earned 10 points for the victory. 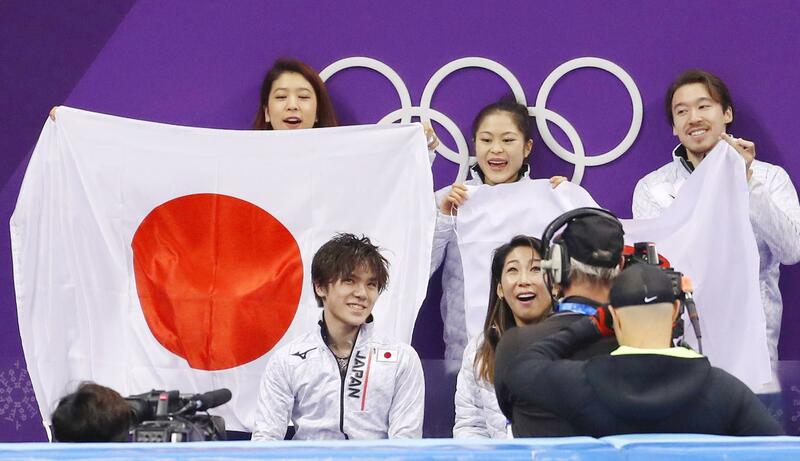 Miu Suzaki and Ryuichi Kihara placed eighth in the pairs, which added three points to Japan’s total. Though Japan and the Olympic Athletes from Russia both have 13 points, Japan has the higher placement due to a tiebreaker. Israel is in fifth place with 11 points. Uno, last season’s world silver medalist, took the ice as the last of 10 skaters and put up a huge score of 103.25 points, to give Japan a nearly 15-point lead going into the pairs short program in the afternoon. The Nagoya native began with his patented quadruple flip, but touched the ice with his hand while landing it. Uno added a beautiful quad toe loop/triple toe loop combination, before closing out his jumps with a nice triple axel. Uno received level-fours for his spins and a level-three for his step sequence. Israel was an early surprise in second place after the men’s short program following a solid showing from Alexei Bychenko, who earned a tally of 88.49. Bychenko skated to “Hava Nagila” and began with a triple axel, before going to hit a quad toe loop and triple lutz/triple toe loop combination. Canada was in third after Patrick Chan garnered a total of 81.66 despite falling twice and not doing a combination. Chan, the silver medalist behind Yuzuru Hanyu in Sochi, competed to “Dust in the Wind” and fell on his opening quad toe loop, and went down again on his triple axel. American Nathan Chen had a calamitous outing to “Nemesis.” The Grand Prix Final champion planned an opening quad flip/triple toe loop combo, but doubled the toe loop. He then popped his planned quad toe loop, only doubling it. Matters took a turn for the worse when Chen fell on his triple axel. His score of 80.61 was by far the lowest of the season and put the U.S. in fourth place at that point. OAR’s Mikhail Kolyada fared worse than Chen. Kolyada hit the ice on his quad lutz, then fell again on his planned quad toe loop/triple toe loop combo, before singling his triple axel. Kolyada’s score was 74.36. OAR’s Evgenia Tarasova and Vladimir Morozov won the pairs with a score of 80.92, with Canada’s Meagan Duhamel and Eric Radford second on 76.57. Germany’s Aljona Savchenko and Bruno Massot were third with 75.36. 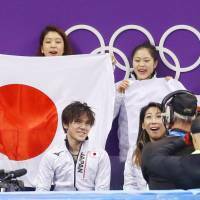 Suzaki and Kihara were awarded a total of 57.42 in eighth. The women’s short program, short dance and pairs free skate are scheduled for Sunday. The top five nations after the short programs and short dance will advance to the final round of the competition. Russia won the gold in the team event in Sochi, with Canada taking the silver and the U.S. claiming the bronze. Japan finished fifth.